In the spirit of Earth Day, I wanted to do a craft that involved using leftover paper. Because I love to scrapbook, I often have random sizes of paper cut from larger sheets that I save for smaller projects like this one. 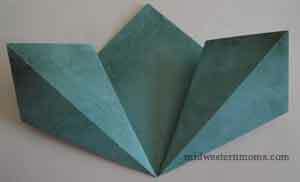 I searched the Internet for how to make a paper flower and came upon this tutorial. Here is my version of the tutorial with the flower that I made. Isn’t it cute? 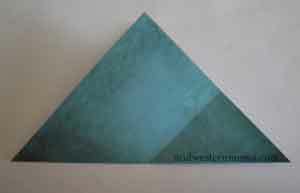 Step 1: With the patterned side of the paper down, fold the paper diagonal, creating a triangle. 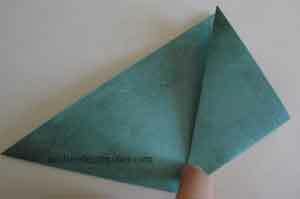 Step 2: One at a time, take the bottom points of the triangle and fold them in toward the top point. 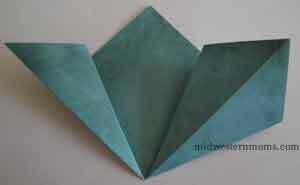 Step 3: Take the points you just folded and fold them back, facing themselves until you get the diagram below. Do this to both sides. 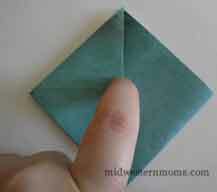 Step 4: Using your index finger, insert your finger into the fold you just created. 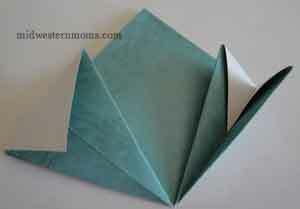 Pull the fold out and press it down flat, creating a squash fold. Do this to both sides. 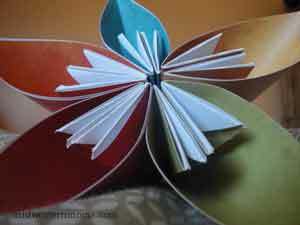 Step 6: Fold the outer flaps in, toward one another, forming the interior of the flower. Do this on both sides. 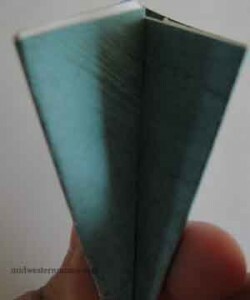 Step 7: Using your glue dot, or whatever form of glue you have chosen to use, glue this piece together. Step 8: This completes one petal. Create 4 more making a total of 5 petals. 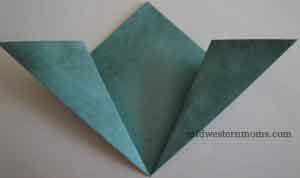 Step 9: Once all 5 petals are created, use your glue to attach them each together. 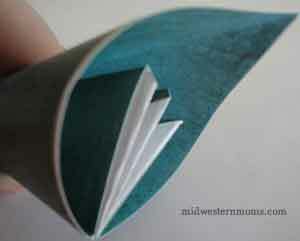 Be sure to put your glue as far toward the inside portion of the paper as you can. Here is what your end result should look like! Ideas: Have some fun with this project! Create flowers with a holiday patterned paper to add to your gifts instead of store bought bows. 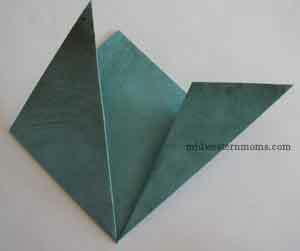 Create several of these to insert into a centerpiece for your family dinners. Attach a pipe cleaner at the bottom and group several together to create a wedding paper bouquet. The possibilities are endless! If you decide to try out this project, please come back and let me know how yours turned out! Aimee, you should try this out. 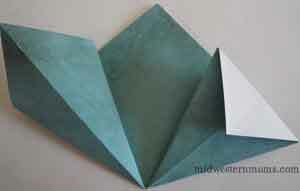 I’ve never been the best with origami either, but these folds were pretty simple. 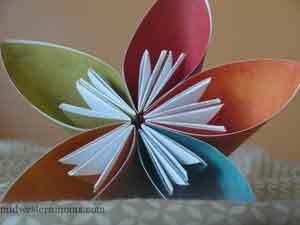 This is so cool i love that it has step by step things so that you can do this cut flower.